Costas Voyatzis during the Ikea Democratic Days 2018. Photo by Elias Joidos, Älmhult, Sweden. 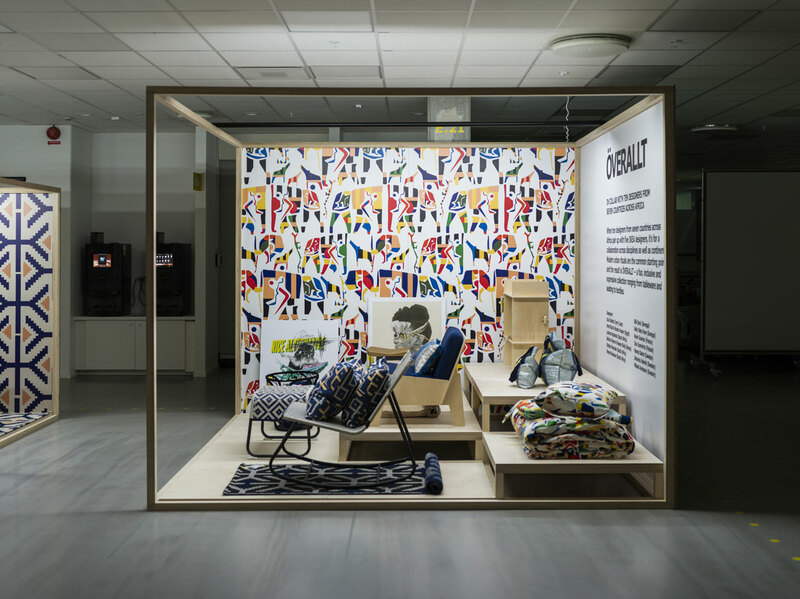 Despite IKEA’s meteoric evolution from the small mail-order furniture business that Ingvar Kamprad founded in Älmhult, Sweden, in 1943 to the global icon that it is today, one thing has remained sacrosanct: Kamprad’s utopian aspiration of making beautiful and inspiring furniture at a low price. With more than two billion visits to its physical and online stores, the company’s utopian mission to democratize design is no longer a lofty dream but an actual manifesto whose aim is to change the world. Based on five fundamental principles, IKEA Democratic Design guides the development of every product, from the original idea to the factory floor and into the store, all the way to the customer’s hands. It is in effect “the backbone of IKEA, its heart and soul” as Marcus Engman, Head of Design, eloquently explains. One of the tenets of Democratic Design is the importance of being curious and open, traits that have been a part of IKEA since the beginning but which have been fully exploited as the company has grown larger and more resourceful through the innovative use of new materials and techniques such as the self-explanatory and assured customer-pleaser Easy Assembling project — which as the name suggests will make assembling easier than making a cup of tea — as well as rule-breaking collaborations with a range of creatives, from furniture and fashion designers to artist and inventors. 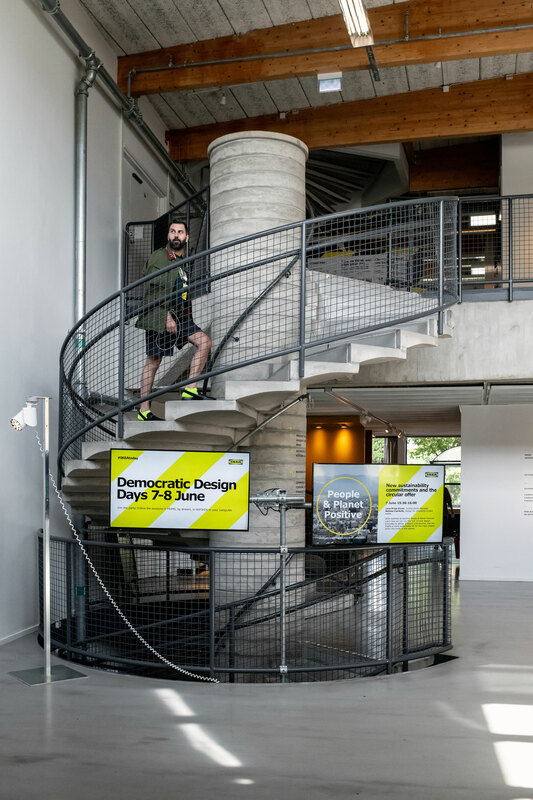 This spirit of perpetual innovation is showcased in the company’s annual Democratic Design Days event, a two-day jamboree where upcoming collections and collaborations are presented at the company’s sprawling design headquarters. 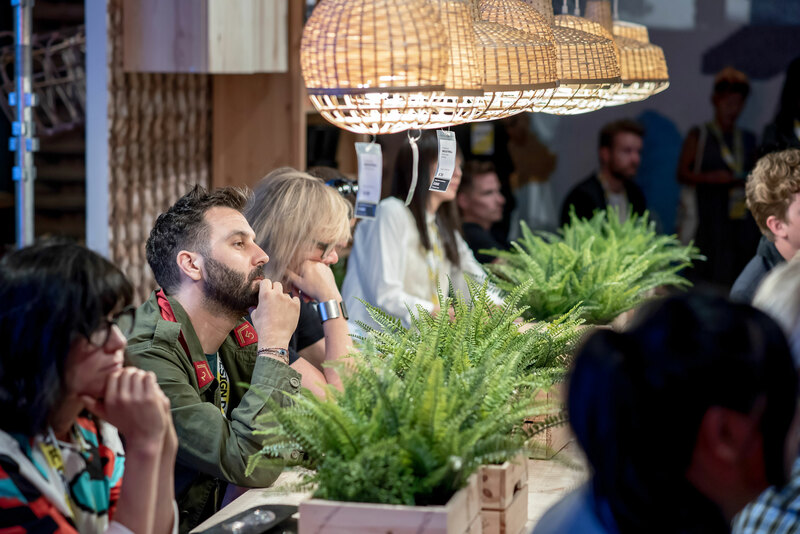 This year’s event, which took place on June 7th and 8th 2018, did not fail to impress as Yatzer founder and creative director Costas Voyatzis, who made the trip to the quiet town of Älmhult, can attest. 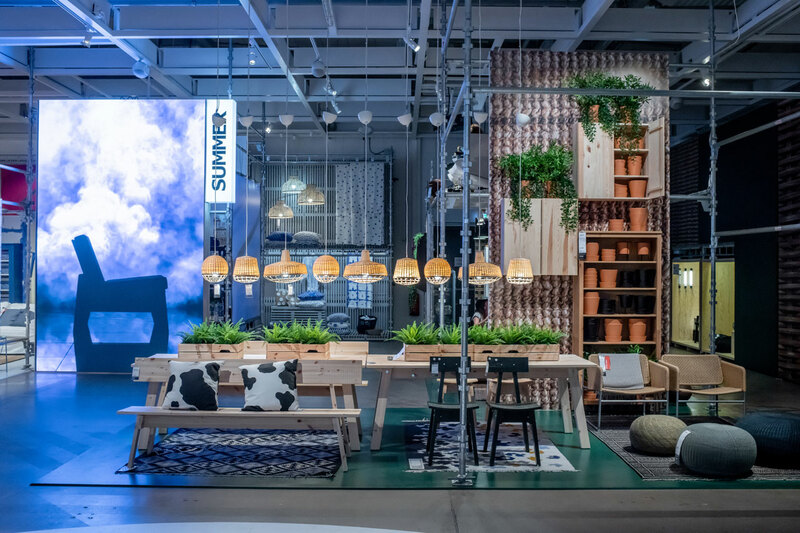 Before we delve into the highlights of this year’s event and talk about our favourite collaborations, a few words about IKEA Democratic Design which permeates all of the company’s output. Fueled by IKEA’s aim to make everyday life better for as many people as possible, and based on the Scandinavian tradition of functionalism and humanism, the five dimensions that constitute the Democratic Design - Form, Function, Quality, Sustainability and Low Price - are the guiding principles that everybody, from designers and engineers to suppliers and buyers, strive to uphold. Practically, what this means for a product is that it should look good, serve its stated purpose, last for a long time and be affordable. On top of that, a product should also be sustainable, a goal that we are happy to report that more and more global companies are espousing. 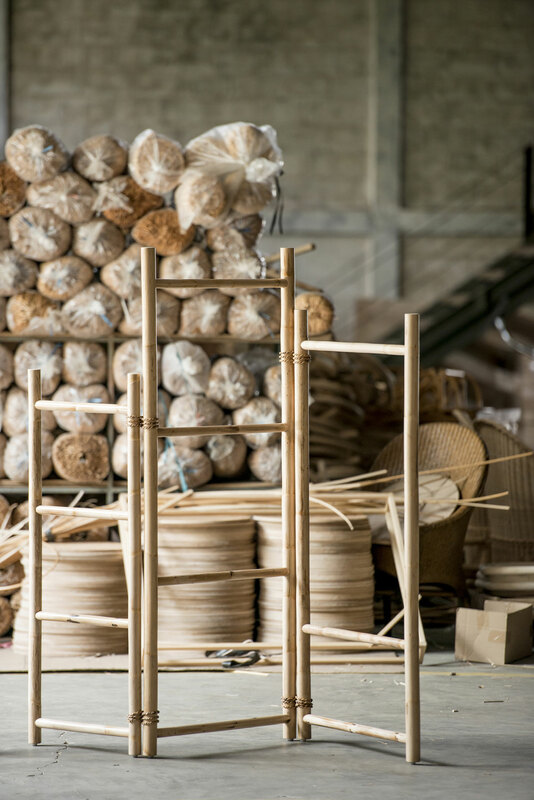 In IKEA’s case, this entails not just choosing eco-friendly materials and production methods but also helping people live more sustainable lives, a win-win for both future generations and our planet. Close-up of Ingvar Kamprad's portrait at the entrance of the IKEA MUSEUM. TÄNKVÄRD collection by Nike Karlsson, Iina Vuorivirta, Akanksha Deo available for a limited time starting in 2019. Photo © Inter IKEA Systems B.V. Nowhere among the new collaborations that were showcased during Democratic Design Days is IKEA’s passion for sustainability more evident than in the TÄNKVÄRD collection—yes, all collections are a handful to pronounce—that is based on the use of natural fibers such as rattan, cotton, linen, jute and seagrass. Designed by Nike Karlsson, Iina Vuorivirta and Akanksha Deo with both sustainability and flexibility in mind, the textiles and light-weight rattan furniture that make up the collection, besides being eco-friendly in production terms are also versatile in function, whereby a room divider also works as a clothes hanger, and a storage basket doubles as a bag. Minimal in sensibility and inspired by Indian craftsmanship, they are items one can easily use at home, the park or the beach. As minimal but more playful is ÖVERALLT, a collection which also turned to a far flung destination for inspiration, Africa in this case, by inviting ten African designers working in fashion, sculpture, architecture, and furniture design to collaborate with five IKEA designers on modern urban rituals. The lineup they created range from tableware, seating and textiles to a basket by Senegalese fashion designer and artist Selly Raby Kane and IKEA-designer Iina Vuorivirta inspired by modern hair braiding rituals. More than a sleek, fun object, for Kane the braiding technique “stands for creativity, power, art, sometimes even a coded language”. 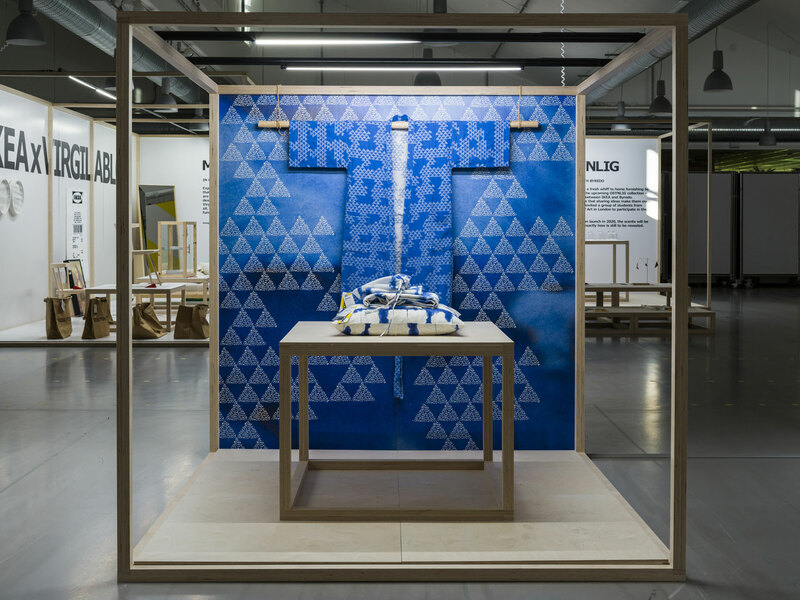 Installation view during the Ikea Democratic Days 2018. ÖVERALLT - IKEA collaborating with African designers. ÖVERALLT collection by Issa Diabaté (Ivory Coast), Hend Riad and Mariam Hazem (Egypt), Laduma Ngxokolo (South Africa), Bethan Rayner and Naeem Biviji (Kenya), Sindiso Khumalo (South Africa), Renee Rossouw (South Africa), Bibi Seck (Senegal), Selly Raby Kane (Senegal). The collection will be available for a limited time starting in May 2019. Photo by Marcus Hansen © Inter IKEA Systems B.V. 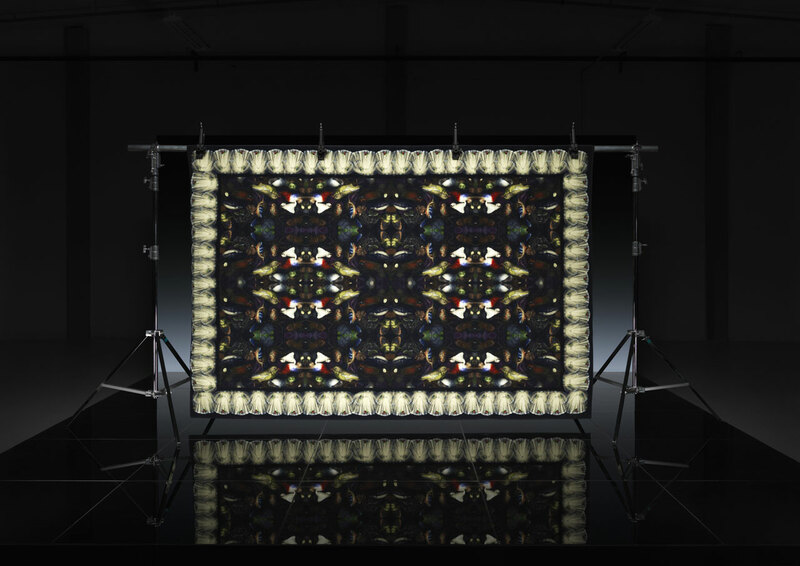 Tapping into the artistry of local craftspeople from developing countries is also the basis for the ANNANSTANS collection, although in this case, IKEA and Swedish textile designer Martin Bergström’s collaboration has not only resulted in the creation of a line of beautiful products but also the creation of jobs in rural India, Romania and Thailand. 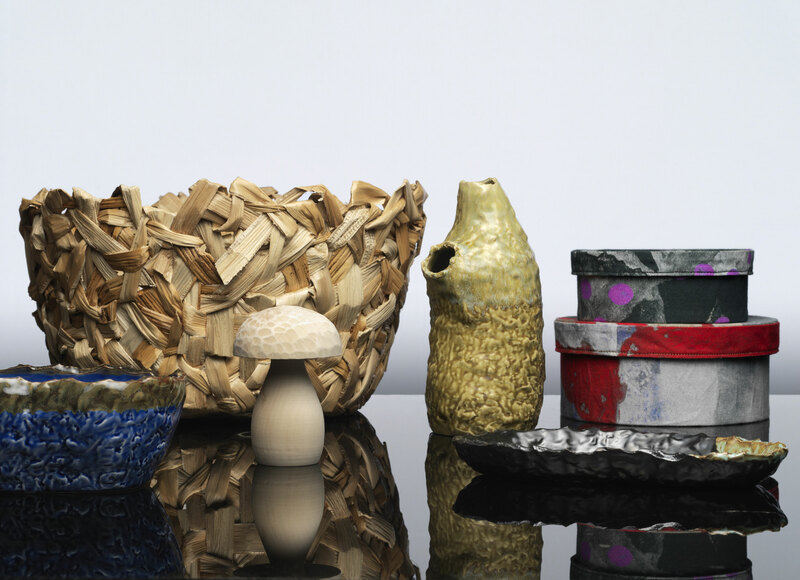 Ranging from cushion covers and bags, to ceramic bowls and banana fiber baskets that mix the artisans’ skills and traditions with Bergström’s ideas, the hand-crafted collection is a vibrant collage of colours and patterns. ANNANSTANS collection by Martin Bergström. Available for a limited time starting in 2019. 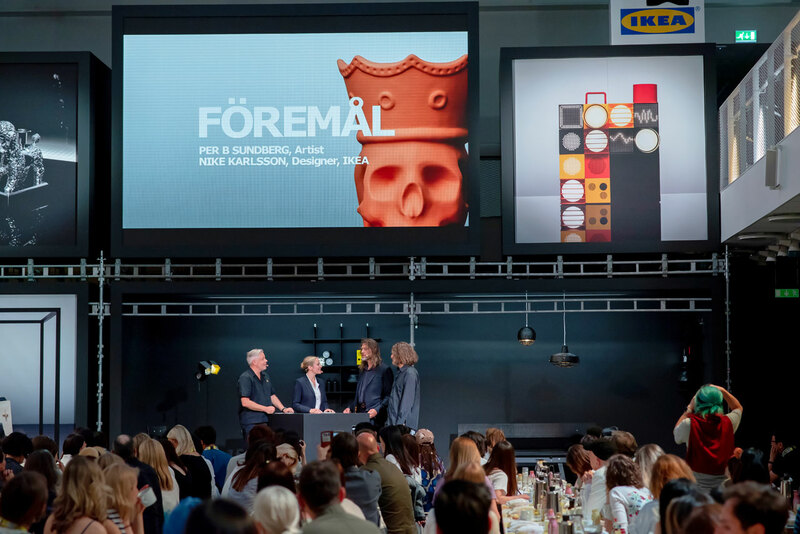 FÖREMÅL collection's announcement during Ikea Democratic Days 2018. FÖREMÅL collection by Per B Sundberg. Available for a limited time starting in September 2018. 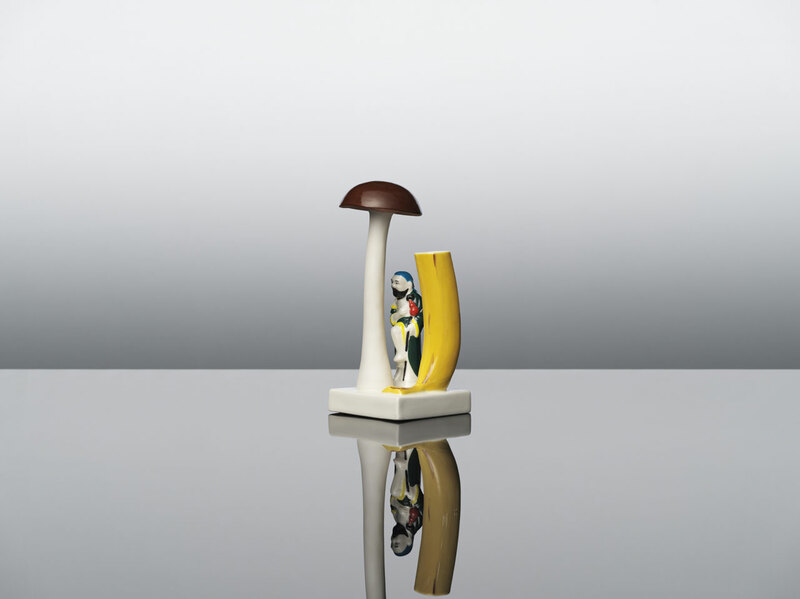 Undoubtedly, the most unexpected and subversive collection is FÖREMÅL, the brainchild of iconic Swedish ceramic and glass artist Per B Sundberg, aka Pelle. 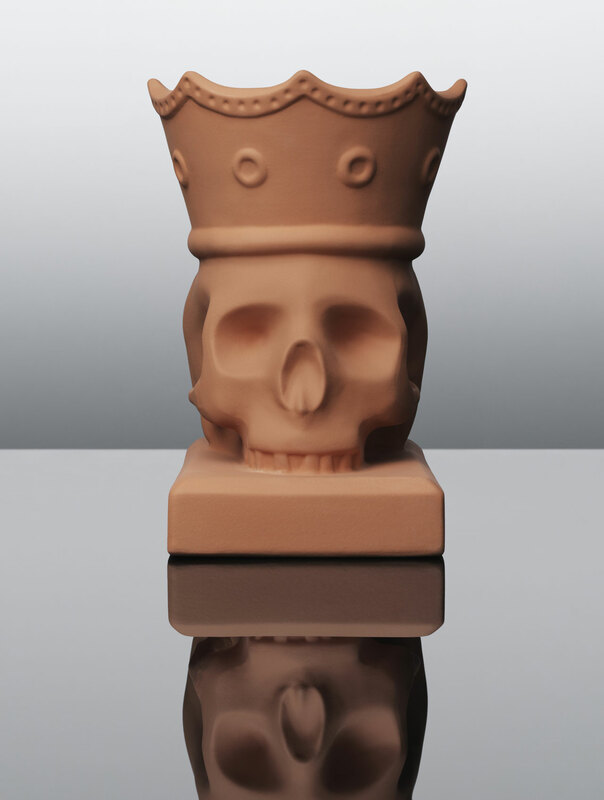 With a reputation as a rebel and provocateur, Pelle’s work challenges our preconceived ideas of beauty and ugliness by appropriating the figurative language of vintage decorative objects and other folkloric knickknacks, many of which the artist finds in flea markets. 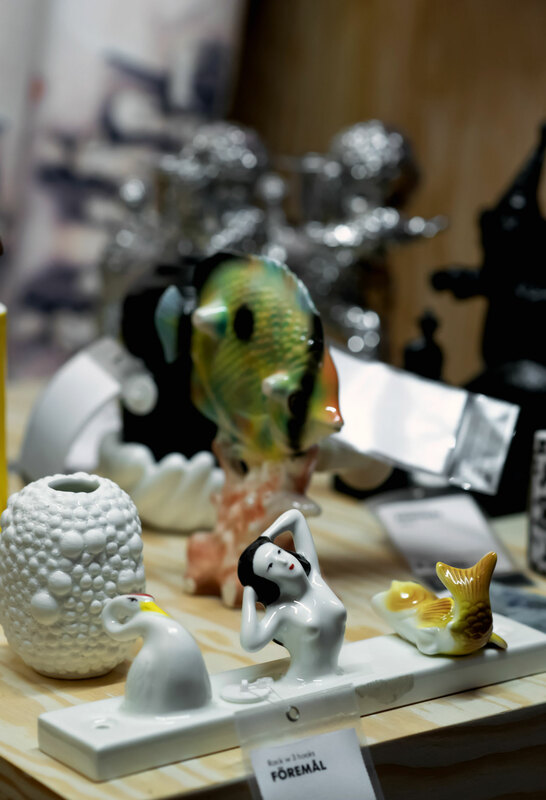 For this lineup of small decorative objects, Pelle’s designs also reference Swedish egg cartons from the 70’s, his own pyjamas and his favourite pink shirt, mischievously combining the peculiar with the familiar to create a burlesque collection that includes skull-shaped terracotta vases, poodle candleholders and a series of cushions printed with playful symmetrical patterns. Pelle’s maximalist aesthetic may run counter to IKEA’s less is more mantra, but that is the point. 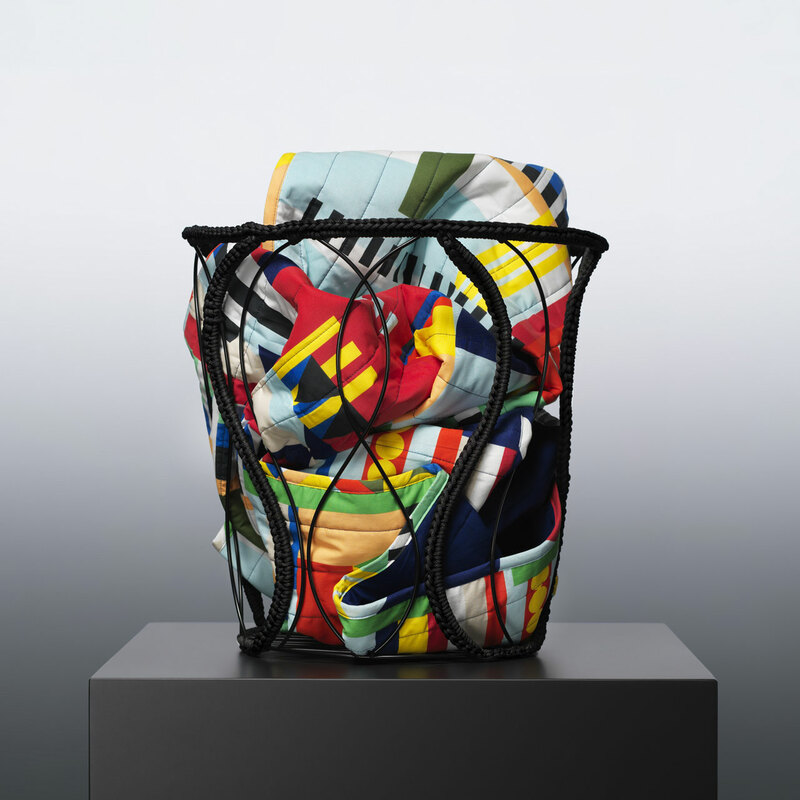 As creative Leader Nike Karlsson explains about the collection, “If you’ve bought a Per B Sundberg, you take something home with you that is more than you normally get at IKEA”. “If you’ve bought a Per B Sundberg, you take something home with you that is more than you normally get at IKEA”. 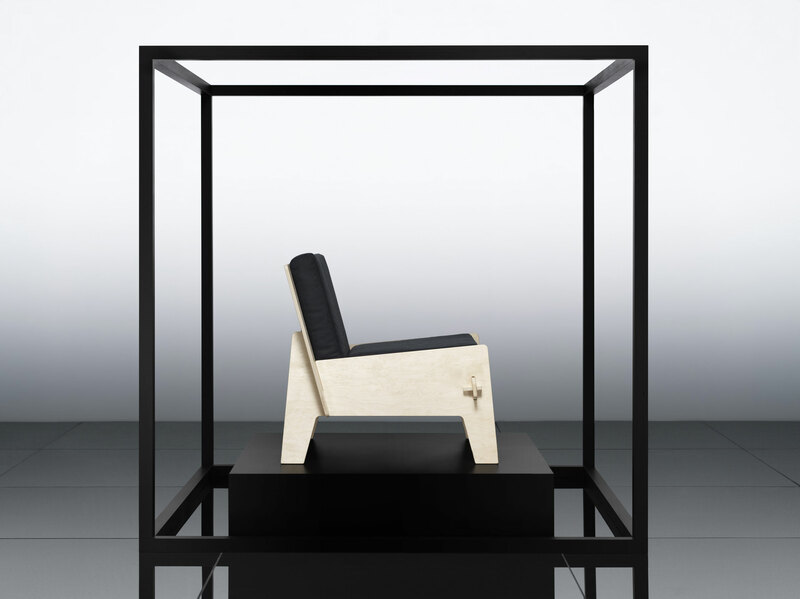 Nike Karlsson - Creative Leader of the FÖREMÅL collection by Per B Sundberg. Available for a limited time starting in September 2018.Photo by Elias Joidos, Älmhult, Sweden. FÖRNYAD collection by Sarah Andelman and Craig Redman. Photo (detail) © Inter IKEA Systems B.V.
For the FÖRNYAD collection IKEA teamed up with Sarah Andelman, founder of Colette, the chic Parisian concept store that alas closed its doors last year, and Australian-born, New York-based artist Craig Redman who is known for his one-eyed, egg-shaped alter-ego Darcel Disappoints. 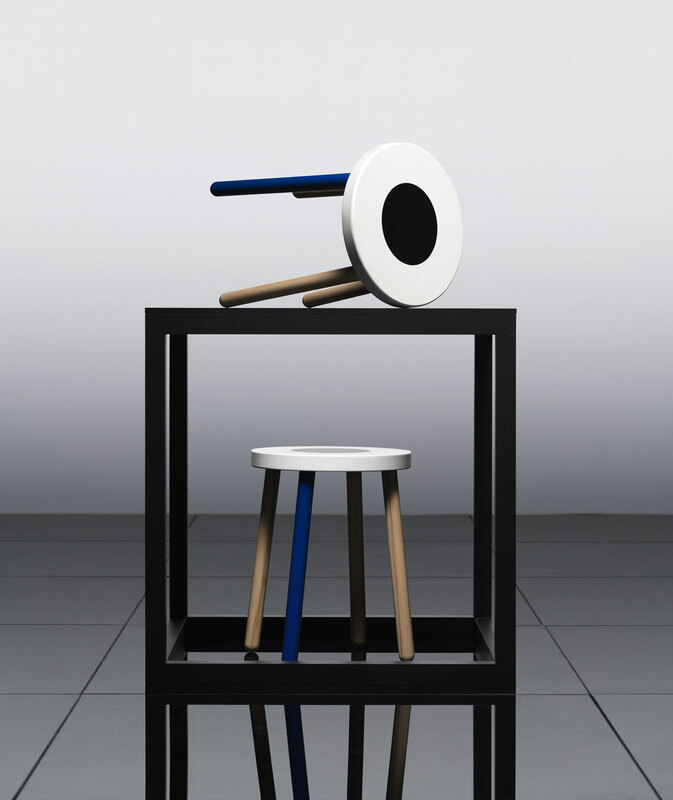 Andelman and Redman’s collection, who have been collaborating on and off for nearly a decade, is a celebration of student life featuring stationary, notebooks, desk lighting, stools and trash bins that have been rendered in playful patterns, colours and sizes. 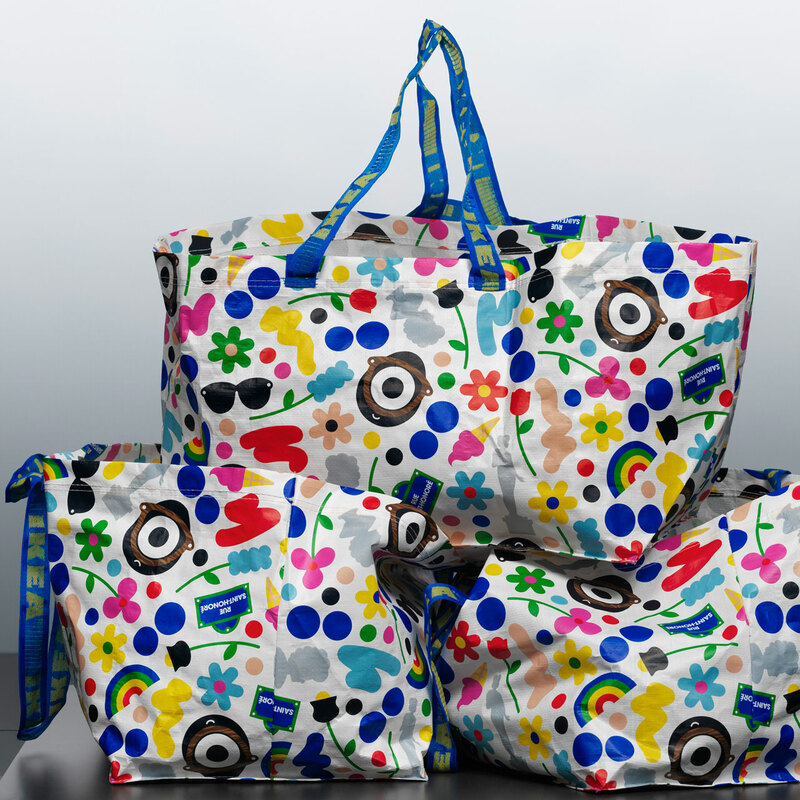 FÖRNYAD, which means renewed in Swedish, also takes on a few IKEA classics such as the iconic FRAKTA shopping tote and the KLIPPAN sofa, both of which feature a new pattern called “Tuileries”, which mixes the graphics of park life with Colette’s blue dots and Darcel’s iconography. 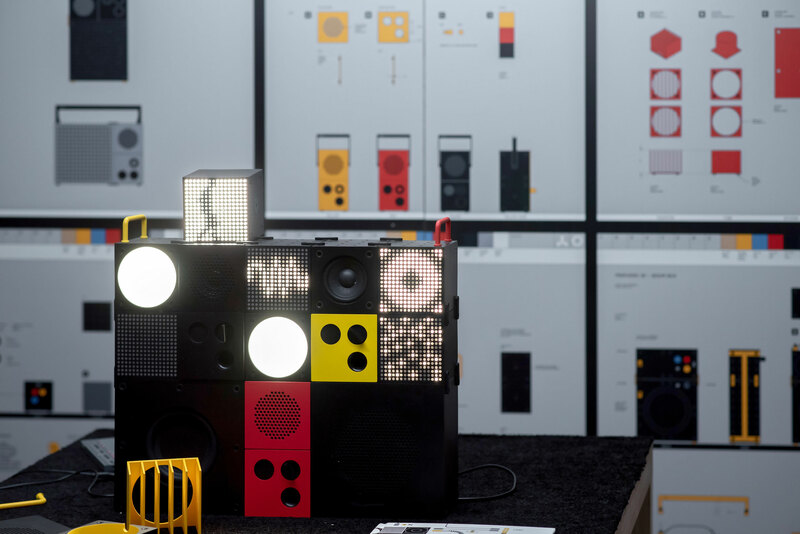 FREKVENS portable music collection by Ikea in collaboration with teenage engineering. 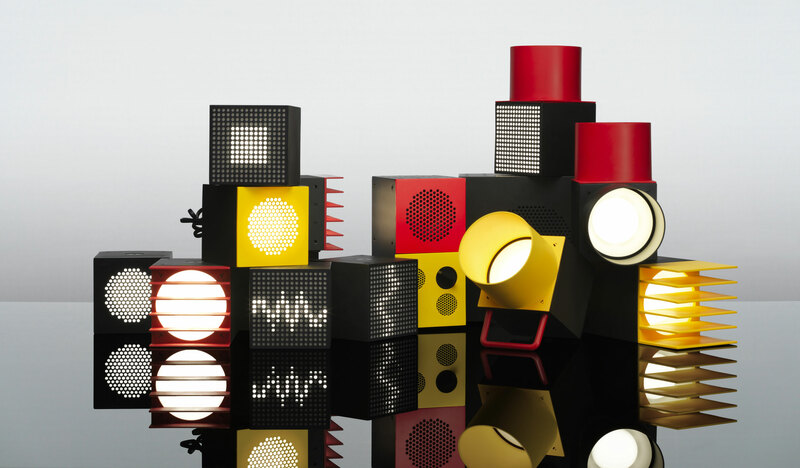 Costas Voyatzis with the FREKVENS portable music collection by Ikea in collaboration with teenage engineering. Costas Voyatzis in front of the KEEP OFF rug from the MARKERAD collection by Virgil Abloh. Other highlights at this year’s Democratic Design Days include FREKVENS, a modular system of speakers and light fittings in the form of cubes that can be arranged at will, and MARKERAD, a collaboration between IKEA and fashion designer Virgil Abloh, founder of Off-White and menswear designer for Louis Vuitton, inspired by IKEA’s product labels, store signs and other paraphernalia. 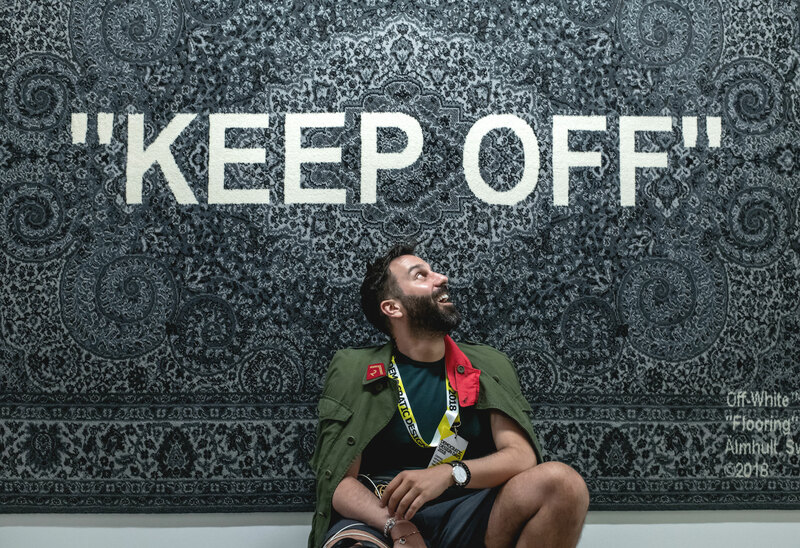 Abloh’s subversive designs include a range of statement rugs featuring slogans such as “Keep Off”, emblazoned against black and white Persian motifs, and “STILL LOADING” with a partial screensaver image on the background. With future collaborations that include companies such as American tech brand Sonos, sports giant Adidas and toy purveyor Lego that attempt to revolutionize how we listen to music, exercise and play while at home, and with upcoming products such as a tap nozzle to combat water scarcity in partnership with the innovative start-up Altered:Company, and a portable solar light by Olafur Eliasson to explore the potential of off-the-grid solutions for those living without electricity, IKEA’s stated goal of making everyday life better for as many of us as possible seems closer than ever. 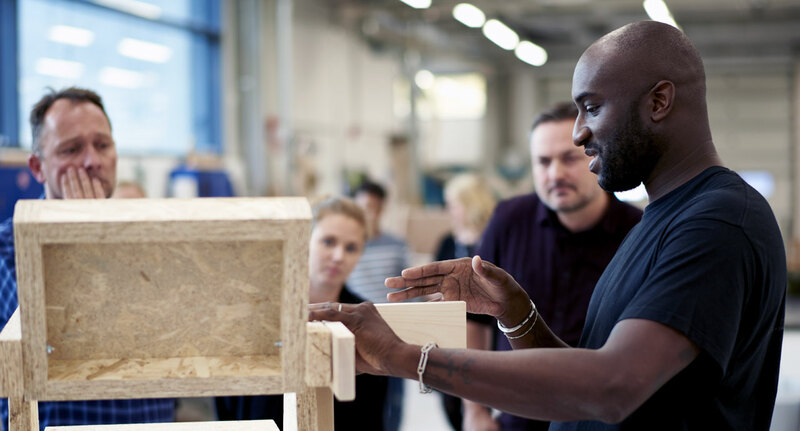 Virgil Abloh during the making of MARKERAD collection for Ikea. 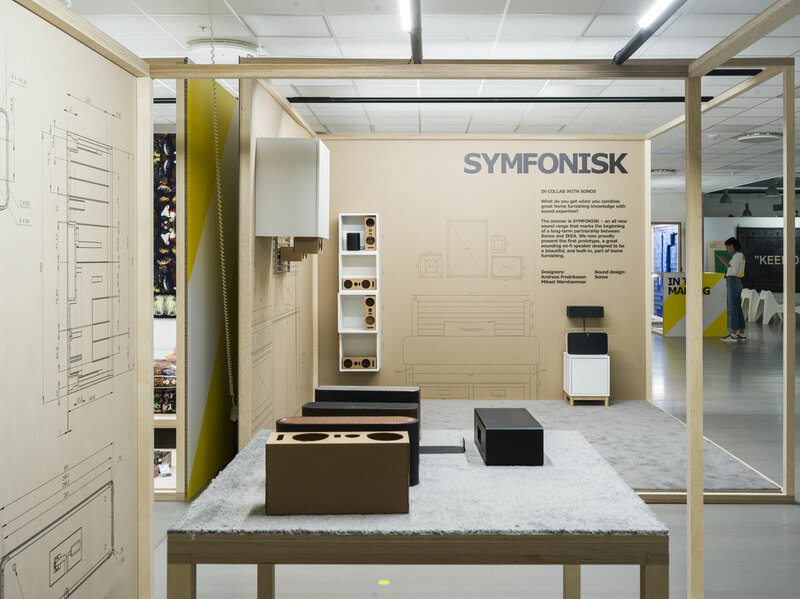 SYMFONISK range preview by Ikea in collaboration with SONOS. 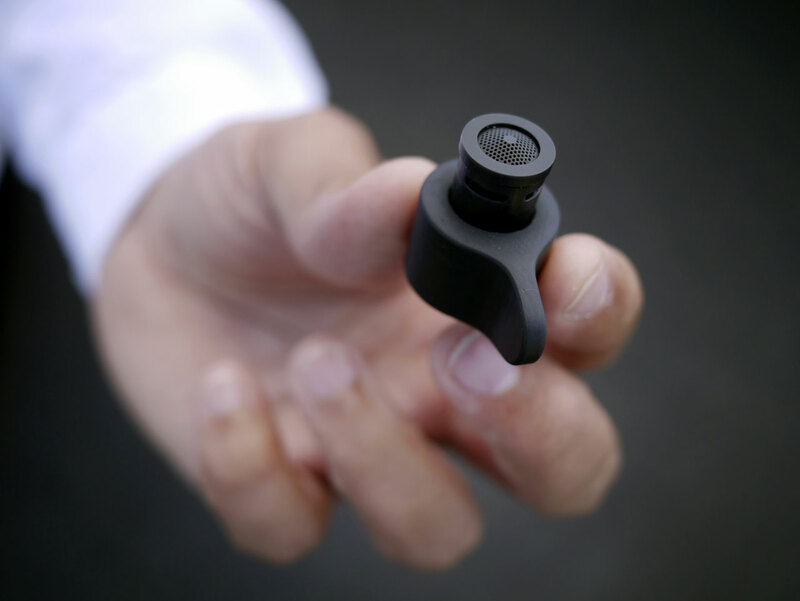 IKEA x Altered : A collaboration which allows IKEA to use Altered’s patented technique and together develop an affordable water saving nozzle that can be fitted to all common taps, enabling customers to reduce water use by over 90 percent. 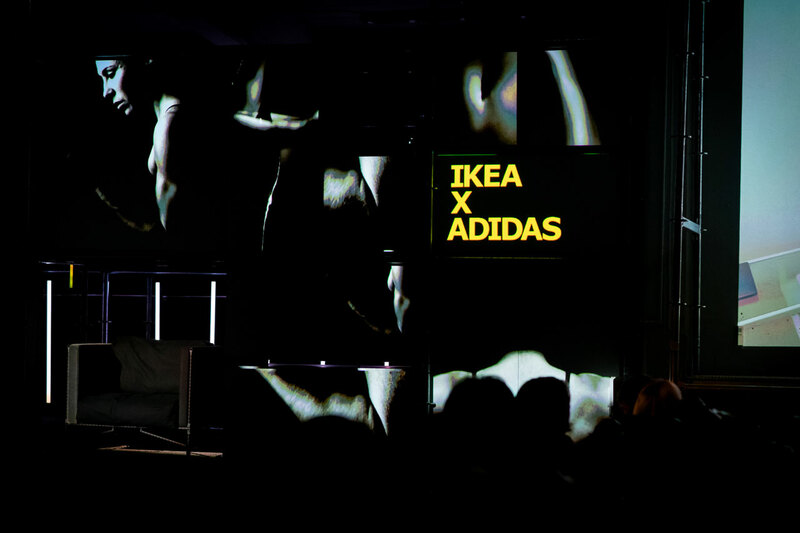 IKEA x adidas collabopration announcement during the Ikea Democratic Days 2018. 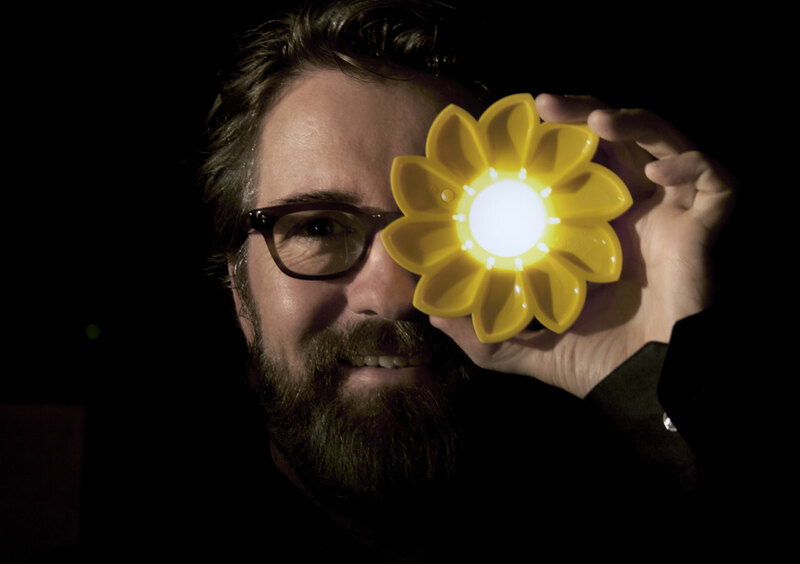 Olafur Eliasson, Co-fouder of Little Sun. STILL LOADING rug from the MARKERAD collection by Virgil Abloh.